Because the final interview was quite long, with detailed and fascinating answers to each question, I decided to divide it into separate posts, with one question and answer in each post in the series. Priya: What is the earliest textual evidence we have of women in India gaining access to yoga asana and meditation practice? Seth: That’s a big and important question. The historical record (including texts, sculptures, paintings, etc.) suggests a predominantly male and renunciate culture and demographic of yogi practitioners. However, there are important exceptions to what were, by and large, predominantly patriarchal traditions—especially when we look at the broader history of Indian religion. 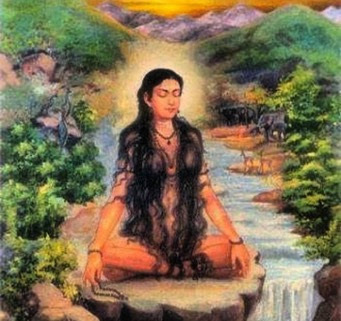 The Upaniṣads feature some important learned female sages, such as Gargi, who famously questions Yajñavalkya about the nature of reality in the Bṛhadāraṇyaka Upaniṣad. Buddhist and Jain institutions have for most of their history included both male and female monastic orders. During the medieval period, with the rise of devotional Bhakti and Tantra traditions, challenges were waged at issues of caste, gender, elitism, and the “orthodoxy” of the male Sanskritic Brahmanical traditions. (These are, to be sure, very complex and multidimensional issues that we are only very loosely summarizing here). 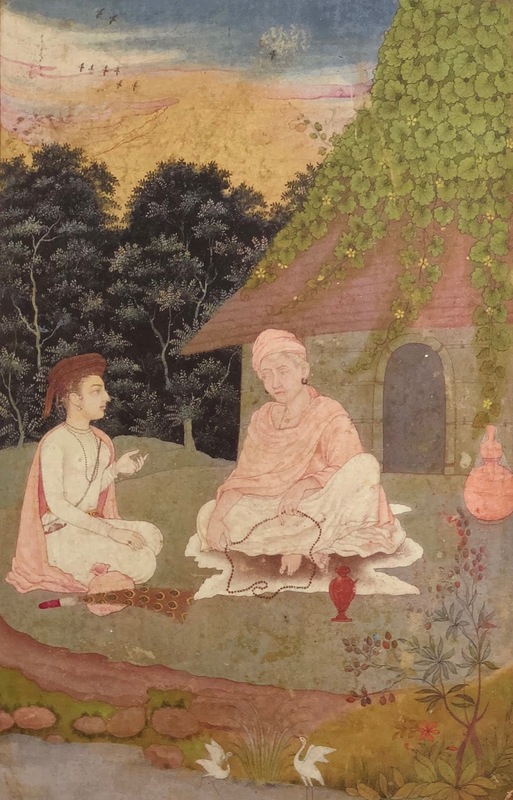 Many of the Bhakti poet-saints were female, low-caste, or even illiterate; singing and performing their religiosity through poetry, song, and dance, and often in the local vernacular languages specific to place, rather than the elite language of Sanskrit—which was a linguistic register typically limited to the highly learned and elite. While these were not always “yogis” as such, the language and poetry of Bhakti is often highly infused with yogic terminology and themes, such as the meeting place of the inner rivers (nāḍī), or the notion of God as the ultimate lord of the yogis (yogeśvara), or the annihilation of the egoic self (ahaṃkāra). Modern painting of Lalleshwari. Artist unknown. my body was a burning coal. a lamp blazed up inside, showed me who I really was. it splashes like water on the water of Infinity. When that Void melts, Perfection remains. In the scriptures known as Tantras, we can witness a broader shift to house-holder yogic traditions, with yogic practices (typically ritual, visualization, breath-control, mantra) aimed not only at ascetics who had renounced the world, but those living and working in the world. This rhetoric of inclusivity is echoed throughout many of the Haṭha Yoga texts. The idea is that regardless of one’s social or religious background, anyone can do the practices, so long as one does the practice. The Dattātreyayogaśāstra also mentions that this yoga should not be limited by one’s gender. These are powerful statements for a medieval Sanskrit yoga treatise. However, as a historian of yoga, I always seek to tread carefully when encountering such lofty proclamations. It is important to understand that these are often “prescriptive” and thus idealized yogic texts, describing particular visions of how yoga should be practiced, but are not necessarily “descriptive” of what is actually happening on the ground. We should be cautious here, then, and still ask who would have actually had access to the practices of yoga? And who would have been reading such yoga texts? Though we see occasional references to householders, and even female yoga practitioners in the Haṭha Yoga literature, they still appear as outliers to the broader audience and culture of male ascetic yoga. At the same time, I think we can look at such references as what Wendy Doniger has called, just the “tip of the iceberg.” If the Dattātreyayogaśāstra casually mentions that there are women “devoted to the practice of yoga,” there is surely a broader social phenomenon beyond this statement, that we are only getting a glimpse of through the male gaze of the redactors of these Sanskrit yogic texts. A unique seventeenth-century Mughal painting, for example, depicts a female ascetic guru and her male disciple, in front of a yogic hut (see image above). For as much as we know about medieval yoga texts and traditions, there is far more that has yet to be uncovered! It is a very exciting time in the academic field of yoga studies, as new research and developments are unfolding all the time. Dattātreyayogaśāstra. Mallinson, James, ed.and trans. 2013. Draft translation.